After touching down to the land of Thunder dragon, you will be received by our representative as soon as you exit the airport gate. Then you will be guided to Photograph the traditional decorative details of the seventh-century Kyichu Lakhang. Kyichu is one of the two oldest temples in Bhutan, and is believed to be holding the left foot of an ogress whose body is so large that it covers Bhutan and most of eastern Tibet. En route to Punakha, stop at the Dochu La pass (10,000 feet) and train your lens on the 200-mile panorama of Himalayan peaks (weather permitting). Enjoy a full day to photograph the golden Punakha Valley, beginning with the impressive Punakha Dzong. Built in 1637 and supposedly the most beautiful structure in Bhutan, to guard the northern and southern approaches to the valley, the dzong served as the national capital until 1966. Late this afternoon, hike through terraced fields to Khamsum Yuelley Namgyel Chorten, a hilltop shrine with sweeping views of the fertile valley below. Travel to the alpine valley of Phobjikha (10,000 feet), considered one of the most beautiful valleys in Bhutan and also well known as winter residence for the mystical black necked cranes.. Along the way, stop to photograph the changing landscape as it transitions from semi tropical to pine forest, and then to an alpine environment where rhododendron, dwarf bamboo, and Grey Langur monkeys can be found. Against a backdrop of forest-clad mountains, the Gangtey Goemba temple complex rises dramatically from a cluster of hilltop cottages. One of the oldest Nyingma monasteries in Bhutan, the Gangtey Goemba has recently been renovated, and the fine workmanship of Bhutan’s best woodcarvers, sculptors, and painters here makes for fantastic photography. Set off on a half-day hike, experiencing Bhutanese culture up close. 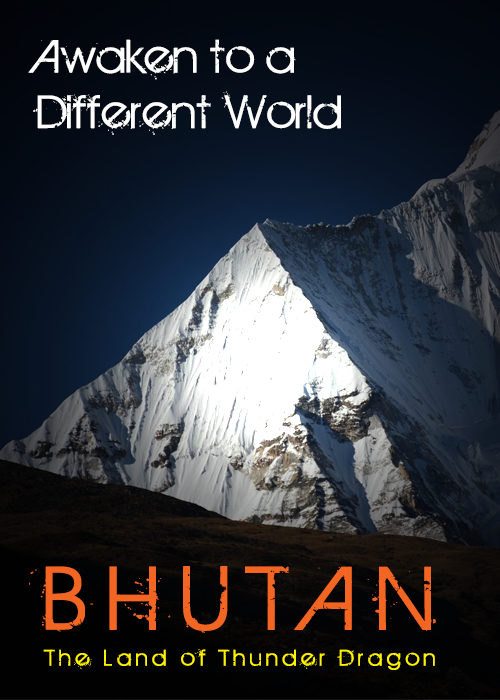 Travel to Thimphu (7,900 feet), the capital of Bhutan. As the kingdom’s only true city, as well as the center for government and much of the country’s commerce, Thimphu is a unique mix of Bhutanese and Western sensibilities. Time permitting; spend the afternoon photographing scenes of contemporary Bhutanese life in the capital. Tonight, experience and witness shaping the country’s unique cuisine and culture during a lively Bhutanese banquet in a authentic traditional style. After a morning exploring the country’s more modern side in Thimphu, visit the capital’s colorful outdoor produce market. Late this afternoon, return to Paro for the night. Our journey in the kingdom culminates with an early-morning photo hike to the most famous pilgrimage site in Bhutan: Taktsang Lhakhang, or the Tiger’s Nest Temple (9,300 feet). Visible from afar, this stunning monastery clings to a vertical granite cliff 2,000 feet above the valley floor. This evening, celebrate your Bhutanese adventure at a festive farewell dinner. KINCHO TOURS AND TRAVELS. COPYRIGHTS © 2019. ALL RIGHTS RESERVED.